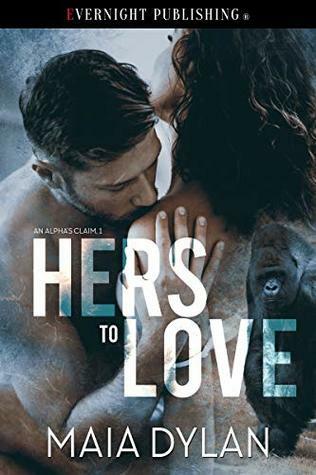 When he finds her, he sets out to prove their made for each other, but an evil from her past threatens their new found happiness, and they have to fight just to survive. A promising start to a new series, An Alpha’s Claim is an engaging paranormal read. Great characters and a support cast with stories of their own to be told, this one is certain to be a hit with me and I will be recommending to others as I am sure they will feel the same. I will definitely be looking forward to book 2! A collection of paranormal stories that kept me engaged throughout. As always there are the standout and for me were Bearly Caught by Sarah Marsh, The Librarian and Her Dragon by Doris O’Connor and Make Her Purr by Stacey Espino & Sam Crescent. In saying however that I enjoyed each of these stories and would recommend you grab your copy and start reading as this box set has something for everyone. New York Times Bestseller Dianna Love’s Beladors are back with Evalle, Storm, the dragon king and allies, all ready to face a conflict no one saw coming. Two thousand years ago, someone stole the king’s treasure from Daegan’s father. An unexpected enemy uses this hoard to set Daegan on a path to his ultimate demise by dangling the one bait everyone knows the dragon king can’t ignore—protecting one of his own. While racing to help a friend, Evalle lands in a trap where she’s given the unimaginable choice to either destroy her dragon king or condemn everyone she loves to die. Even her Skinwalker mate, Storm, has no way to track her this time. Friendships and allies are tested as Atlanta erupts with preternatural exposure. Who will join Storm and Daegan to go where even a dragon has no chance of survival? With the enemy willing to gamble everything to take down Daegan, Evalle accepts her destiny, but on her terms. She never wants anyone to see what she’s become, especially Storm. Destiny is not a choice, but a summons. The hourglass favors no one. BIG NEWS FOR PRINT READERS!!! You can order TREOIR DRAGON HOARD and receive a SIGNED (and personalized) copy!! Not only do you get to see the Cover, I’ve got some great news!! Instead of releasing in Sept as originally planned, Theirs, East Coast Bad Boys 2 is being released on August 29th!! Check out the gorgeous cover for HOUR OF DARKNESS, the newest novel in Lara Adrian’s bestselling new Hunter Legacy vampire romance series! Releasing July 31, 2018 in eBook & Print. Pre-order now! Learn more at www.LaraAdrian.com.